Tired of the baby killing? Protest ABQ…Year of Rebuke! 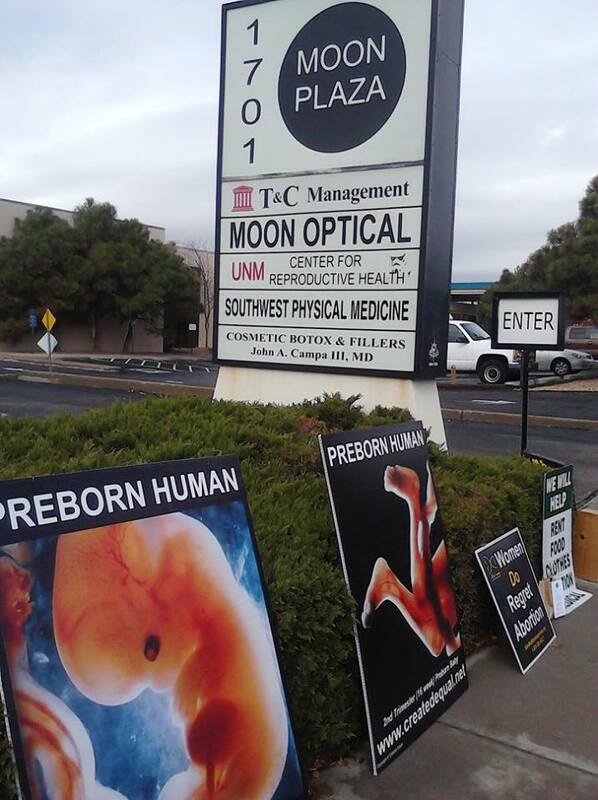 This Friday, I (PDL) will host an organizing meeting at Project Defending Life for a new campaign called Protest ABQ. 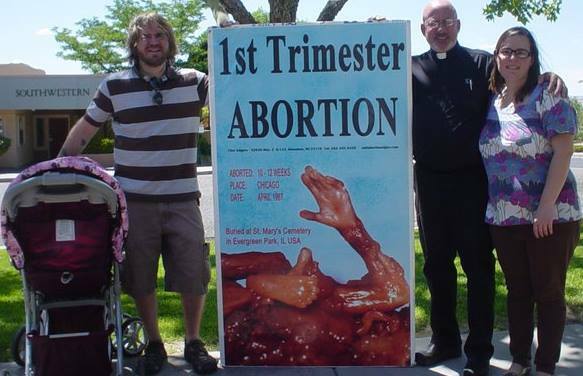 Protest ABQ will be a ministry of Project Defending Life and will be a protest campaign utilizing graphic imaging and other means to send a message to the voters and leaders of ABQ (and NM) that their vote to kill babies and support baby killers will not be tolerated. 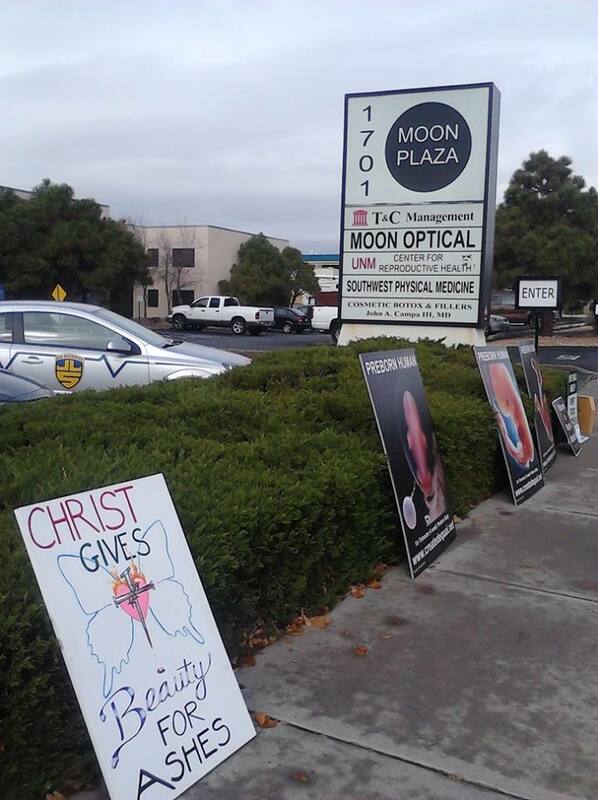 This campaign is designed to end the baby killing in ABQ and in NM. Everyone is welcome to join us if you support the use of graphic imaging to show the truth about abortion…i.e. baby killing! This meeting is to organize a campaign to protest ABQ and not to debate the merit of graphic imaging or the recent failed vote. It is time to move on past the vote and it is time to get serious about protesting the killing of our little brothers and sisters in the womb. These protests will be peaceful and constitutionally legal. We will not condone violence of any kind by anyone in this campaign. Indeed, we are protesting the use of violence…against babies in the womb. We will peacefully protest this violence. 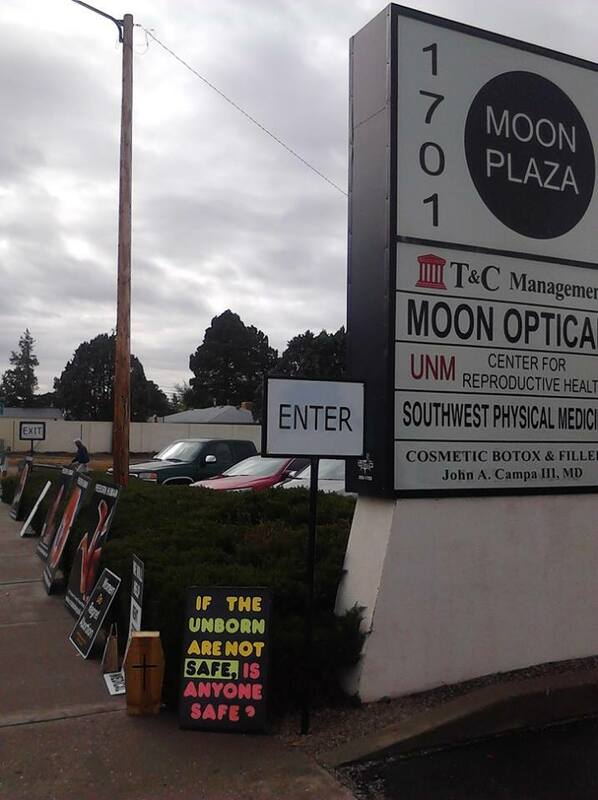 There are three abortion clinics in ABQ providing abortions, Planned Parenthood located directly across the street (50 feet!) from Project Defending Life. Several people throughout the week frequently minister and sidewalk counsel there including local “Pro-Life Saint,” Phil Leahy. After three years of pretty intense public awareness, many people are going to Southwestern Women’s Options (SWO) pretty consistently to minister and sidewalk counsel. 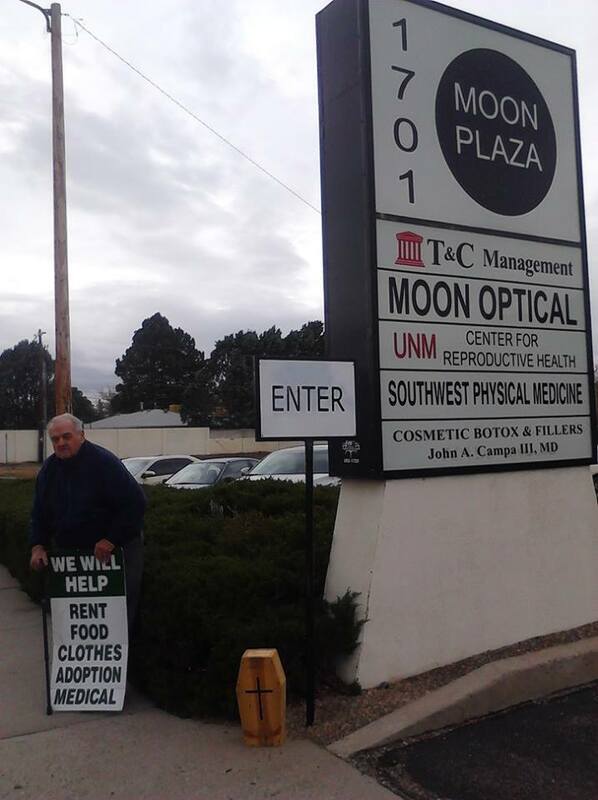 The third one has kind of slid under the radar, UNM Center for Reproductive Health, “UNMCRH (UNM’s free standing publicly funded abortion clinic doing abortions up to 22wks). I spoke with someone today out at UNMCRH, who mentioned that they wished people would come out more often and try and reach the women going into the abortion clinic. 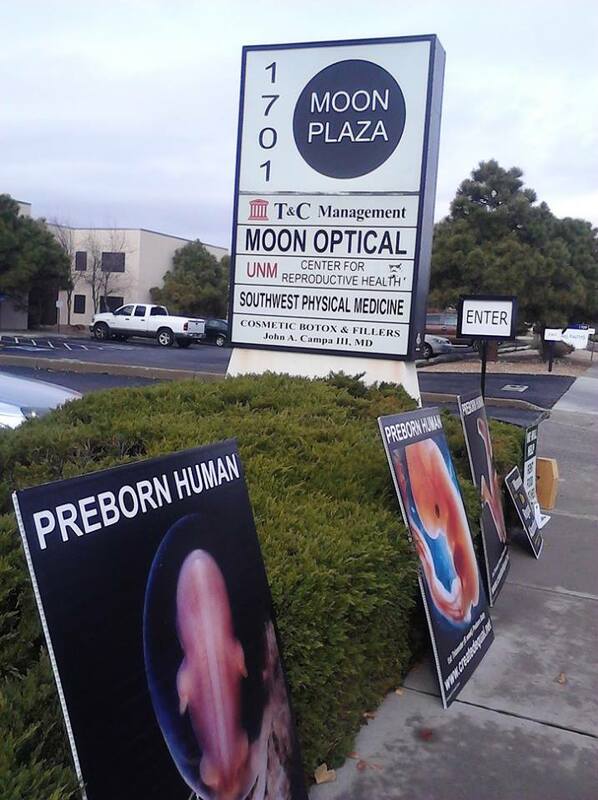 After prayer and reflection, moving our pro-life momentum forward in ABQ, UNMCRH is the weak link of the abortion cartel here in ABQ (due to the fact that since UNM is a public institution and publicly funded, they are highly sensitive to public exposure concerning their radical abortion agenda). So, I have decided to step back from my presence out at (SWO) and crank up the the public exposure out at UNMCRH (1701 Moon St NE, Albuquerque, NM 87112). Beginning tomorrow, Friday Nov. 22nd. 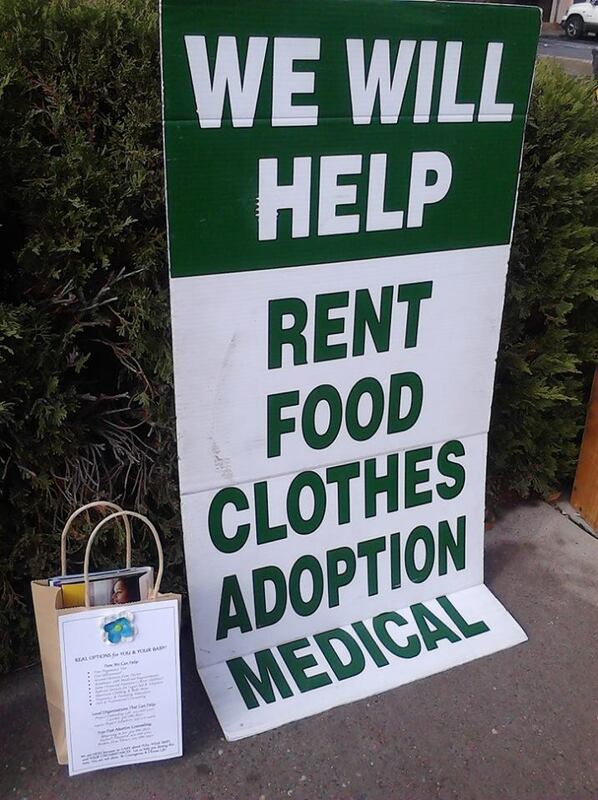 I will have a daily presence out at UNMCRH Monday-Friday 9am-12pm. I welcome you to join me. I urge the people who are consistently faithful out at SWO to remain steadfast.